When Joan Nassauer moved into her Michigan home more than 20 years ago, the one-acre property looked like just about every other piece of land in the neighborhood. It was all turf grass, or what we think of as a typical “lawn” — smooth, uniform and entirely unnatural. A landscape ecologist and architect, Nassauer set to work breaking up the monotony. Today, roughly 10 percent is dedicated to growing food, 20 percent to prairie gardens, 5 percent to composting and 25 percent to trees, while the rest remains turf grass. For a long time now, some ecologists like Nassauer have encouraged the rest of us to follow suit. But breaking up with our lawns is hard to do, it turns out. Lawns cover fully two percent of U.S. land. Despite at least one recent survey suggesting lawn alternatives are on trend, there’s little indication that an anti-lawn movement is taking root — even amid increasing concern about water shortages, pollinator conservation and greenhouse gas emissions. “Where people can grow turf and use it as a land cover, there is a nearly ubiquitous affection for it,” says Nassauer, who has been studying lawns since the 1980s. The cost of that affection is high: A recent study in Science found that households direct 75 percent of their water use to watering the lawn. Nationwide, homes and gardens use 60 million pounds of pesticides, which sometimes pollute groundwater, researchers found. By storing carbon, a greenhouse gas, lawns have some positive environmental impact. But the positives are negated by greenhouse gas emissions from mowing, irrigation and fertilization, the researchers found. Those efforts run counter to the Earth’s natural tendencies, says Maria Ignatieva, the study’s co-author who researches urban biodiversity at both the University of Western Australia and the Swedish University of Agricultural Sciences. Learning from nature means departing from turf lawns — and that can be tricky. Pressure from neighbors and local ordinances are powerful forces in maintaining the status quo. Plus, Ignatieva notes, turf grass is a multibillion-dollar industry. “Money is talking,” she says. Still, research has shown numerous environmental benefits to lawn alternatives. One study published last May found that simply mowing lawns less frequently — every two weeks rather than weekly — increased the population and diversity of bee species. “Things that are good for bees tend to be good for other animals as well,” says Susannah Lerman, a research ecologist at the U.S. Forest Service and a co-author of the mowing study published in the journal Biological Conservation. The appeal of mowing less frequently drives sales of “No Mow” grass seed mix at Prairie Nursery, a Wisconsin-based company that sells native plants and seeds. The seed mix is a blend of fine fescue grasses, which grow slowly and require little to no mowing, according to Kirk Shillinglaw, vice president of the company. In recent years, more people have been replacing lawns with fescue grasses and native plants, Shillinglaw says. What’s driving the shift, he says, is growing interest in conservation of bees and monarch butterflies. Over the past three to five years, he says, the company has grown 10 to 15 percent, shipping out tens of thousands of plants during its busiest time of year. It’s not clear, though, how large that cross section really is. On the one hand, 83 percent of homeowners are interested in growing native plants, according to a survey conducted by the American Society of Landscape Architects. Of the roughly 800 participants, 70 percent expressed interest in a reduced lawn area. But a quick drive around the suburbs suggests families aren’t adopting changes at this rate. For now, lawn alternatives seem to remain a fringe movement, most popular with those comfortable experimenting with their land. One such homeowner is David Metzger, who also designs and manages construction of homes. Metzger has been using No Mow seeds for the past 10 years. The fescue blend covers about three-quarters of an acre on his three-and-a-half-acre property in Rosendale, N.Y.
Metzger planted No Mow for the convenience: Much of his land is tree-heavy, or too steep to mow. But he’s also drawn by the aesthetic of the grass. While Metzger never mows, fertilizers or waters his grass, it’s far from worry-free, he says. Starting up a No Mow lawn means killing the old one, which is “not for the faint of heart” — it can be alarming to see your patch of green become brown and wither away. Metzger re-seeds the lawn annually, recovering patches where grass has smothered itself or given way to weeds like Japanese stiltgrass. Still, Metzger says his maintenance beats that of a typical lawn, which comes with the nuisance of frequent mowing. “If I had a regular lawn and anxiety that I’d have to mow it at least once a week — I don’t know what that feels like, but I know that I would hate it,” Metzger says. Often, that anxious feeling of needing to maintain a certain type of lawn is driven by neighbors, Nassauer says. She conducted a study on cultural norms around residential landscapes, surveying 500 homeowners in southern Michigan about their front lawn preferences. Participants were asked to identify their preferred lawn type before and after looking at photos of other lawns in the area. “The astounding result was that homeowners chose for their front yard, overwhelmingly, what matched their neighbors,” Nassauer says. Changing suburban landscapes, then, has to happen block by block, subdivision by subdivision. Nassauer says it’s wrong to assume that a few “bold innovators” will trigger widespread change by themselves: once those early adopters move away, the next homeowner is likely to revert to turf grass unless most of their new neighbors have already moved to native plants. “Do it at the scale of neighborhoods,” Nassauer advises. Her research on green infrastructure shows that creating village-or town-wide incentives makes changes more likely to stick. By growing a bit of everything on her own land, meanwhile, Nassauer cultivates biodiversity. Her experiments provide one model for the land management decisions that everyone with a lawn will face. Looking ahead, Nassauer says climate change will play a role in how people view the land they own or manage. 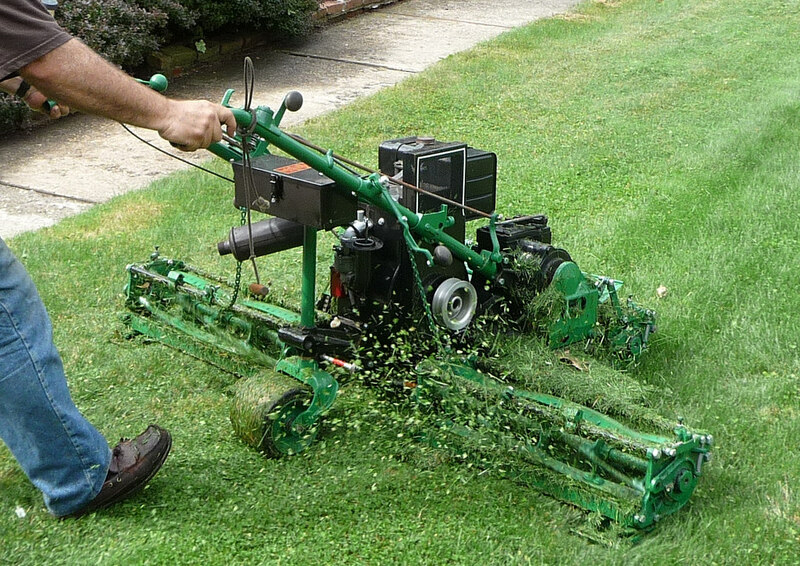 Despite a long-standing love of the freshly mown lawn, “people’s attachment to turf is going to become a little bit more elastic,” Nassauer says. i don’t like grass other than native species that don’t look like astroturf. volunteered with a prairie group for over 10 year when i lived in chicago. native species of flora and grasses that are not mowed are much more interesting and attractive and encourage native fauna and as a bonus they save work and are so much more interesting. unless one plays croquet, why grow ugly grass? and there are other ground covers of interest like there are so many different and attractive kinds of moss for shady areas….grass is not that easy to kill, but i have lived here about a year and i am determined!!! i don’t like traditional grass lawns and there seem to be so many other choices even if you want to play crochet. there are wonderful mosses for shady areas that once established won’t need as much care and there are so many other choices and areas for taller plants, native flowers and tall grasses to attract butterflies and bees and other native species, a small pond…i have recently moved and have to start all over from very little that i want!! !